Okay so big DEBT news. 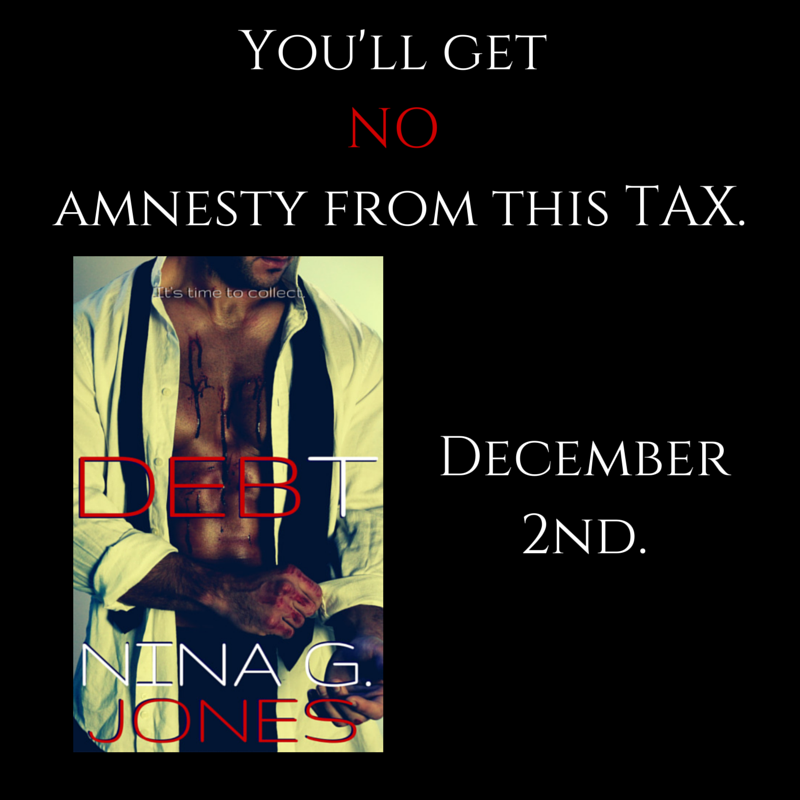 1) DEBT is on sale for the first time! Only 99c. It’s been $4.99 since the day it released, so now’s the time to grab it if you haven’t yet. 2) I know I said DEBT was a standalone. And it IS. It’s a complete story. Buuut, I am writing another novel, BlaME. This time it’s Rex’s story! This books spans before and after the events of DEBT, so I’m calling it a SPREquel. 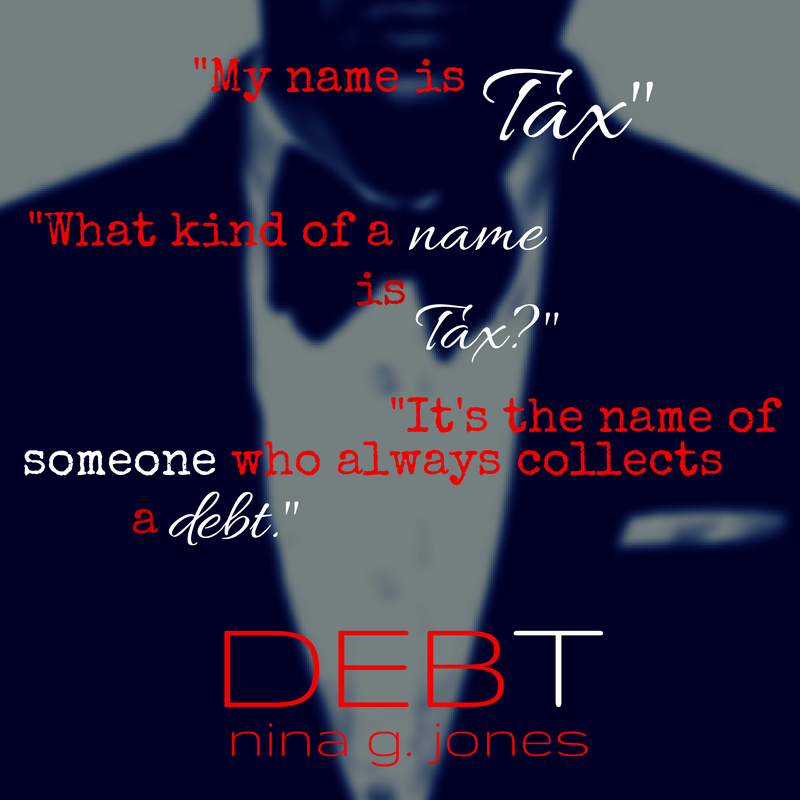 All your favorite characters from DEBT will make an appearance, but it’s really Rex, Tiff and Jude’s story. I don’t have a release day yet. So, to stay in the loop, make sure you are on my email list. I don’t send much and only when I think it’s super relevant. 1) I have a celebration on Facebook on release day. This time though, a fellow author who has a release on the same date will be hosting as well (J.L. Beck)! This means double the fun, prizes…double everything! So, please join us. I am so excited about this book, I truly feel it’s my best work to date. Party is here! 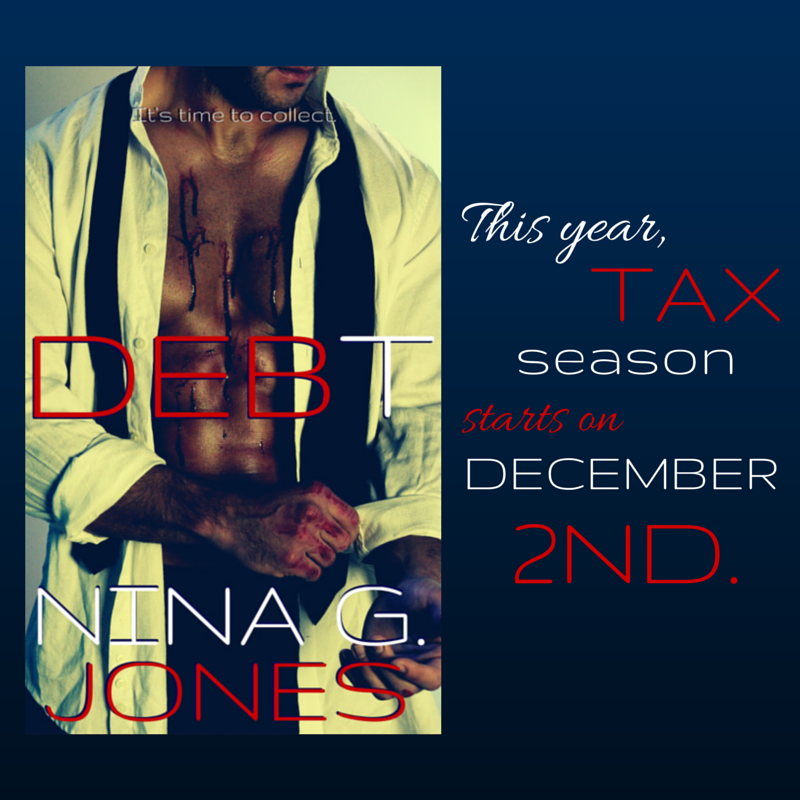 2) I was so grateful and overwhelmed by the response to the reader cover reveal for DEBT. So, I am hosting something similar for release day! This time, there will be THREE different winners selected from participants as a token of my appreciation. Early reviewers are coming through from bloggers who have advanced copies. For now, it’s all on Goodreads, since of course the vendors won’t have reviews until the book is up. 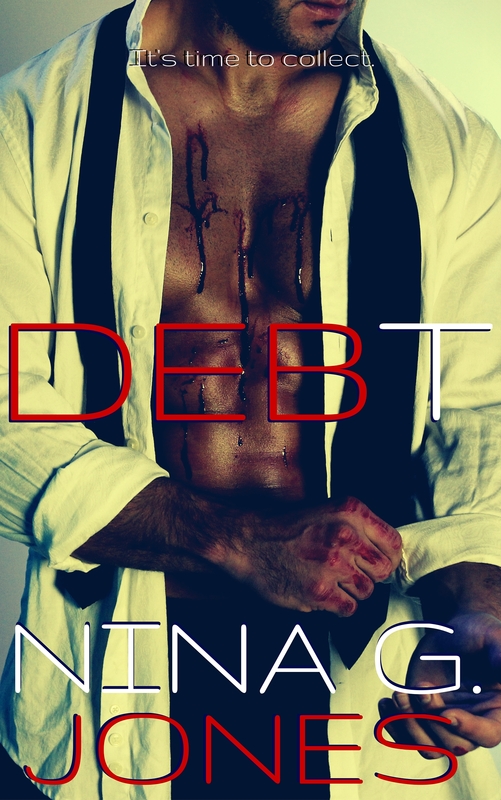 Today I just finished the first draft of my next novel, DEBT. It’s set to release on December 2nd. Due to some issues I have with Amazon’s pre-order and since this is a standalone, I will not make this available for pre-release, so mark your calendars! Strapped fans, I would say this book is darker, and it’s not a clear-cut romance. Meaning there is no promise of a running off into the sunset. It’s also a standalone.